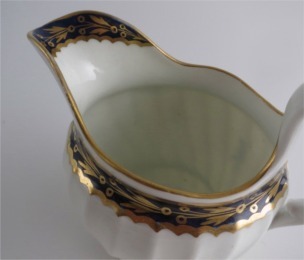 A very elegant and well moulded spiral shanked Milk Jug, decorated with blue and gilt decoration including the gilt 'Fly' motif. This charming Milk Jug was made at the famous Worcester factory c1790. 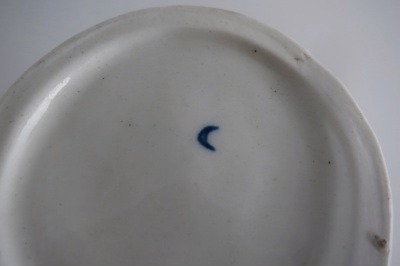 It is marked with the Worcester open blue crescent mark used at the Worcester factory c1755-1790. 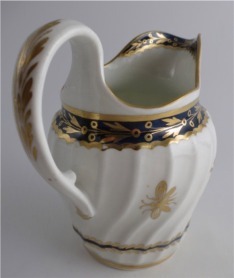 This delightful Milk Jug dates from c1790. 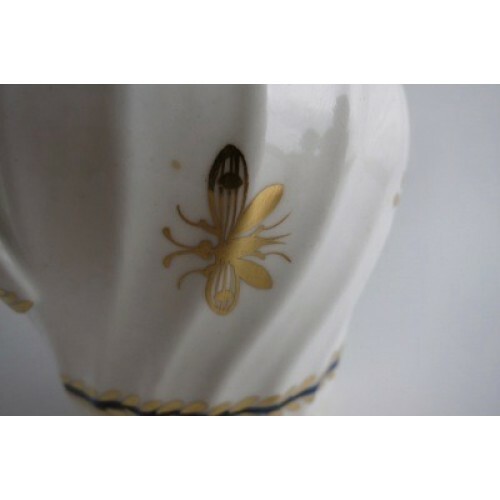 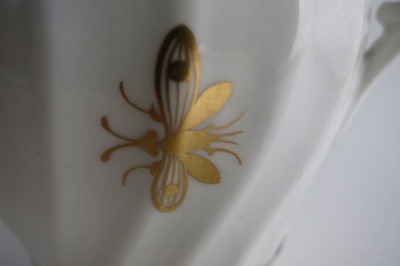 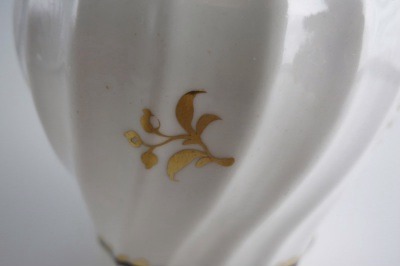 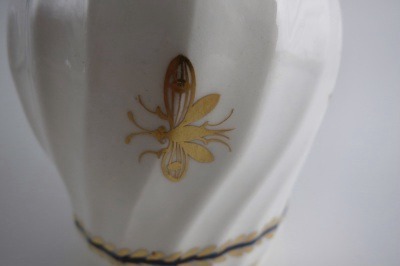 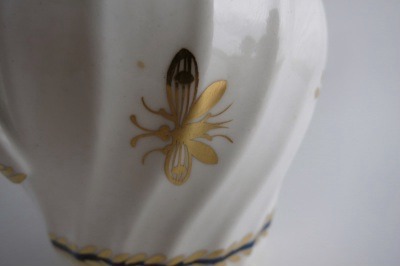 The outer body of the Milk Jug is beautifully decorated with the 'Fly' pattern, this includes three gilt flies positioned around the body, these having between them three gilt flower sprigs. 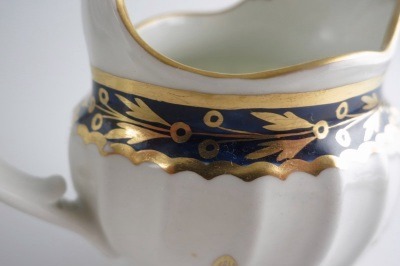 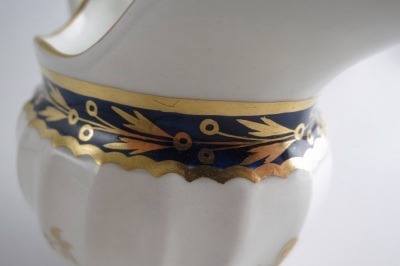 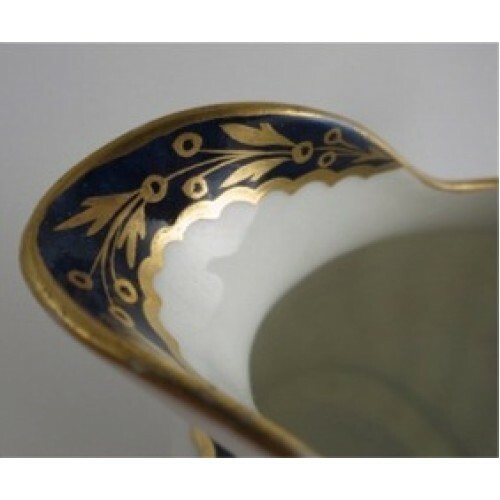 A rich underglaze Cobalt blue border runs around the shoulder of the jug and to the inner pouring lip, These are decorated with a trail of gilt leaves and berries. 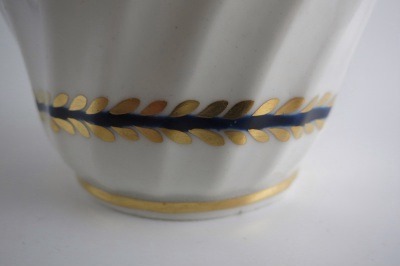 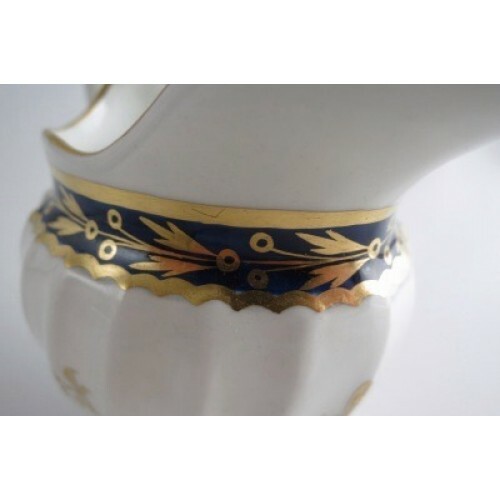 Around the base of the jug is a cobalt blue and gilt wreath decoration. 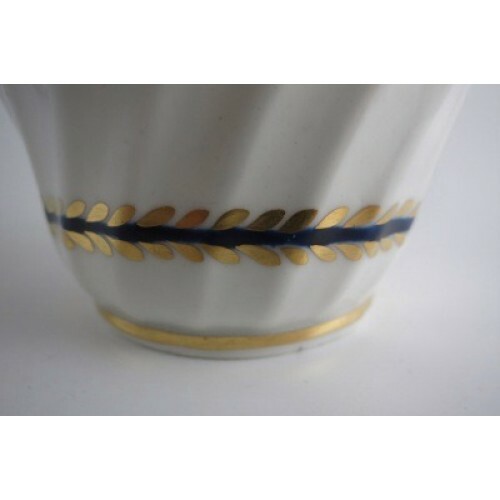 A gilded line runs round the foot of the jug. 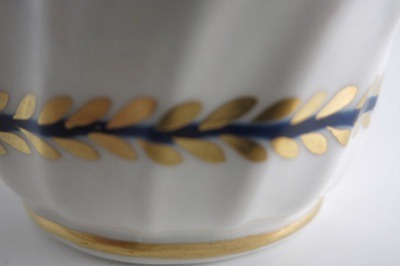 The rim of the jug has a gilded edge. 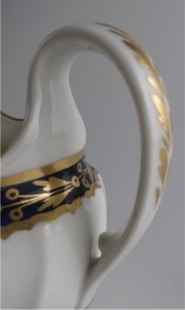 An elegant open loop handle with a moulded inner spur is decorated down the back edge with stylised gilded foliage. 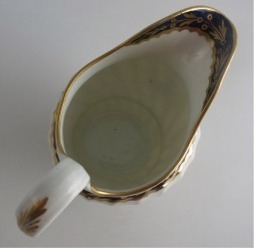 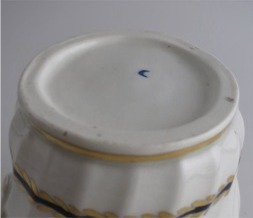 The Milk Jug is marked on the base with the Worcester open blue crescent mark used at the Worcester factory c1755-1790. 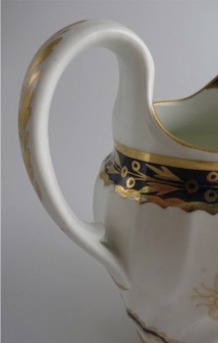 This jug dates from c1790. 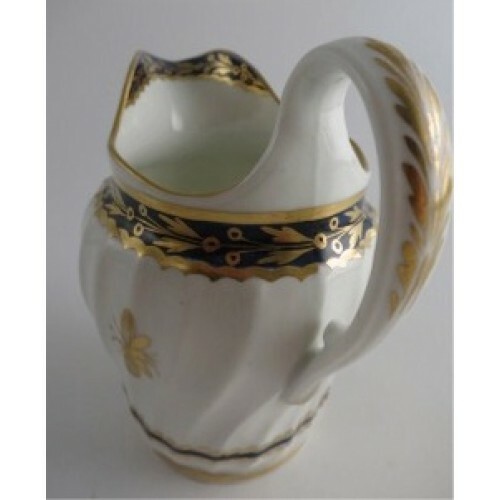 This beautiful jug is in really excellent condition with no chips, cracks, repairs or restoration. 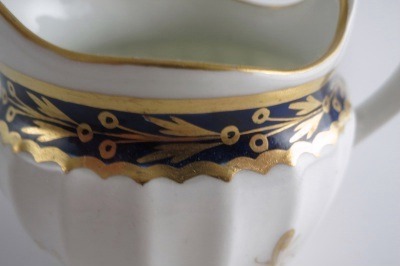 The gilded decoration is in just about perfect condition showing next to no wear. 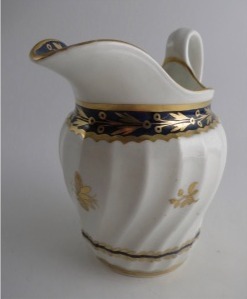 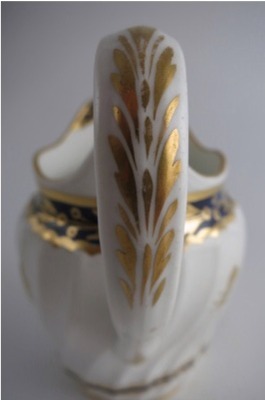 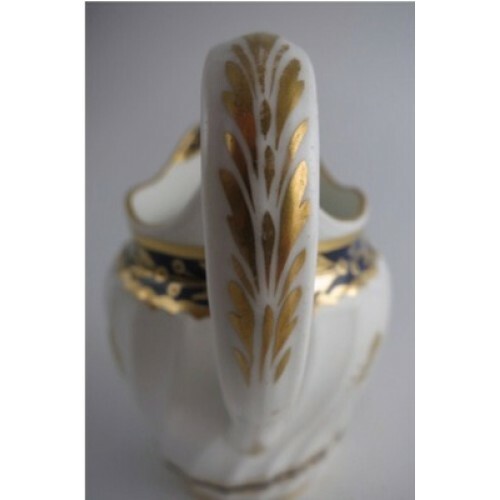 A fabulous Worcester Milk Jug for any collector of Worcester porcelain. 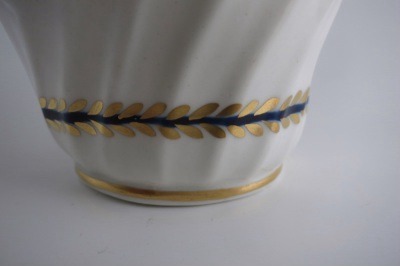 Description A very elegant and well moulded spiral shanked Milk Jug, decorated with blue and gilt decoration including the gilt 'Fly' motif. 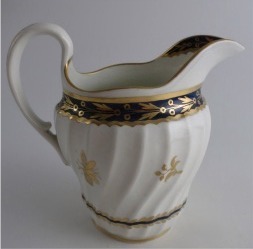 This charming Milk Jug was made at the famous Worcester factory c1790. 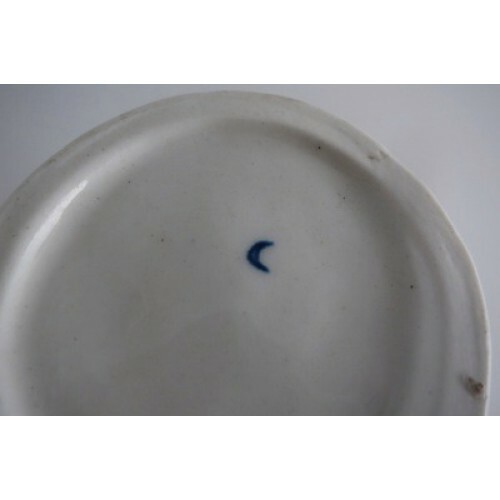 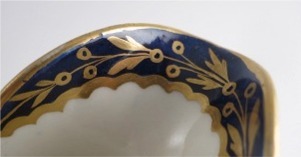 It is marked with the Worcester open blue crescent mark used at the Worcester factory c1755-1790. 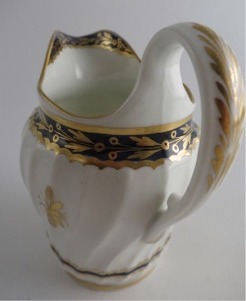 This delightful Milk Jug dates from c1790. 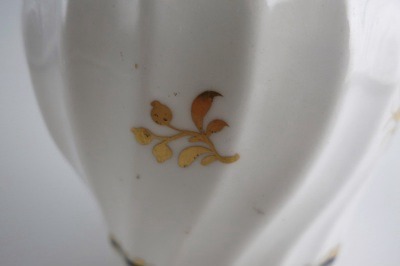 Condition (See main description for full details and pictures) This beautiful jug is in really excellent condition with no chips, cracks, repairs or restoration. 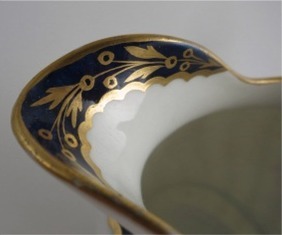 The gilded decoration is in just about perfect condition showing next to no wear. 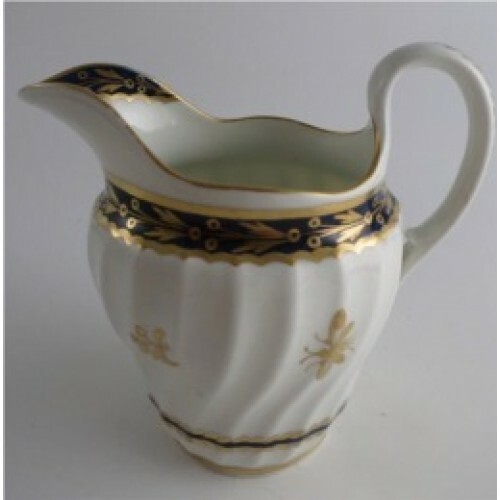 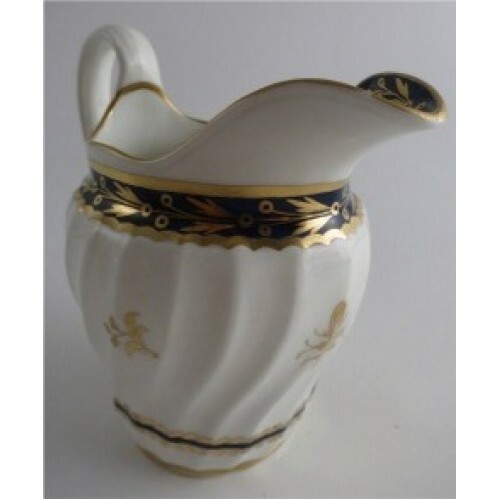 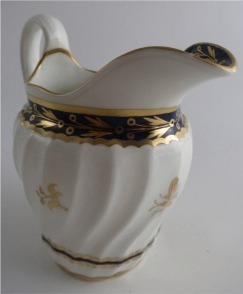 A fabulous Worcester Milk Jug for any collector of Worcester porcelain.